Schiphol Taxicentrale has existed for over 25 years now. We are specialised in transportation from and to airports. Besides Schiphol Airport we also drive regularly to other airports such as: Rotterdam The Hague Aiport, Eindhoven Airport, Zaventem Airport en Düsseldorf Airport. Due to the fact that we only drive to airports, we can keep our prices affordable. With our fixed prices, you will never get any nasty surprises. You pay for what you get. Schiphol Taxicentrale is the most affordable you can find in The Hague. We all know how important it is to be on time when you are on a trip. 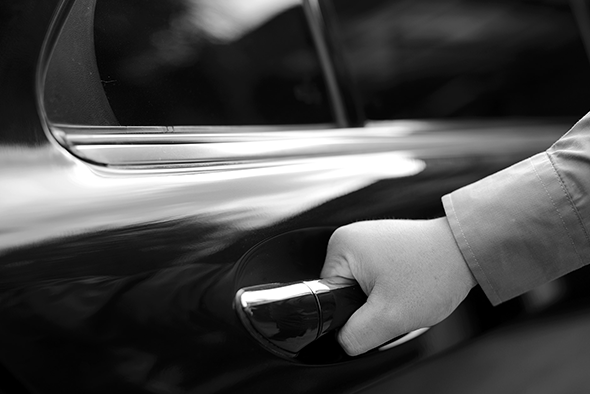 So leave the stress to our certified drivers and enjoy the short trip in our luxury taxi on your way to the airport. No need to watch the meter, nor the clock. Schiphol Taxicentrale will make sure that you arrive on time. Furthermore, with our fixed prices, you will never get any extra charges. Schiphol Taxicentrale is the affordable alternative to quickly and safely get to the airport! Do you have a lot of luggage that does not fit in our luxurious taxi sedans? Let us know and we will pick you up with our spacious Mercedes Benz station wagons. We can easily fit 6 or more suitcases in these vehicles. Do you have ski’s, a trolley, a surfboard or a rollator or just a lot of suitcases? We can transport all of that with our taxi busses. Do you have a lot of company and needs to go to Schiphol? Schiphol Taxicentrale can arrange that easily for you, and this will definitely be cheaper than going by train! If there are other planned trips in the same area, there is a possibility that we will combine these trips. You can call us 24hrs a day, 7 days a week to book your taxi. With us you can also pay with your Credit Card in the taxi, for when you don’t have any cash on you. Book your taxi online and choose to pay with iDEAL to get the cheapest price!